Bird lives in Lawrence, Kansas tonight. 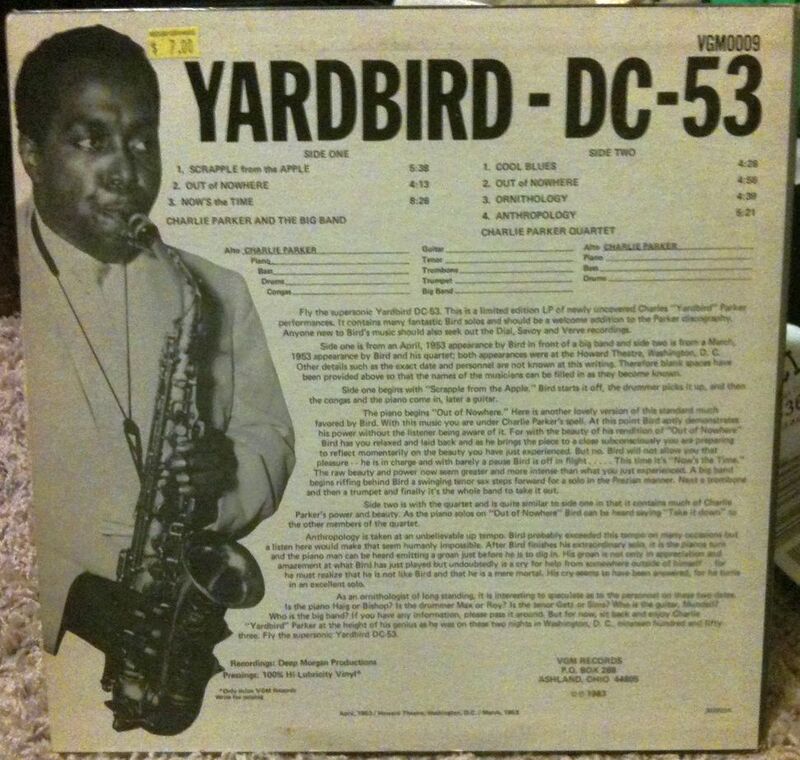 This is a bootleg recording from the Howard Theater (Washington D.C.) in March and April of 1953. 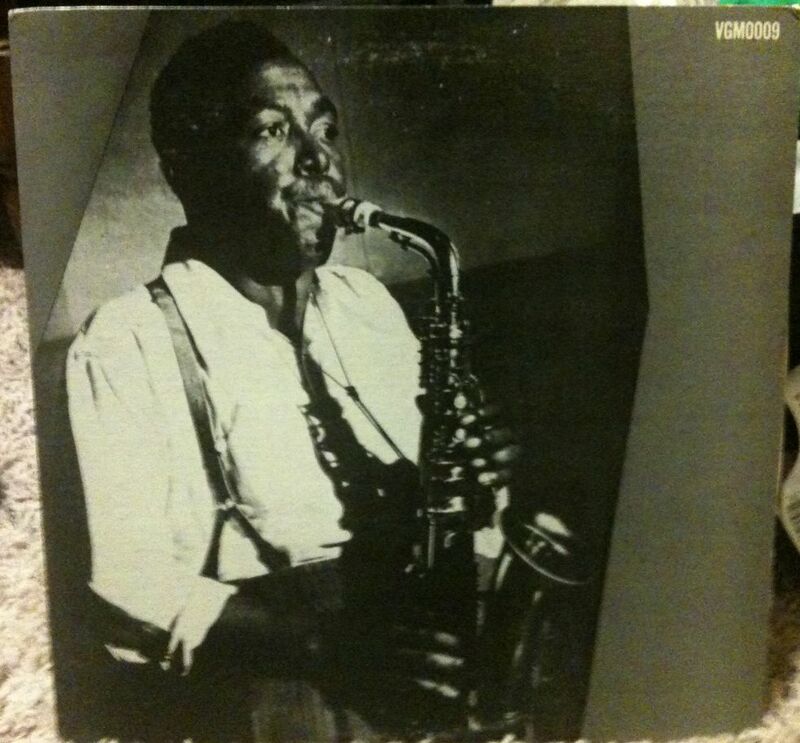 This addition to the Parker discography was published in 1983 by VGM records. Clearly a bootleg recording, the sound quality is not the finest, however, these two tracks stand out: the classic “Ornithology” and a break-neck “Anthropology,” in which the band barely manages to keep in step. No one is quite sure about the identities of the other members of the quartet– and I’ll leave that for the Ornithologists to ponder. (It seems that most people agree that the drummer is Max Roach.) The All Music Guide calls this recording, “of primary interest to long-time collectors,” but neglects to call attention to the electric atmosphere of this recording. The cheers and shouts of the crowd are heard regularly, at one point laughter can be heard during a goofy bit of drum solo on Ornithology. This room noise adds so much to the tracks I would happily sacrifice the sound quality inherent to most “privately produced” recordings of the time. 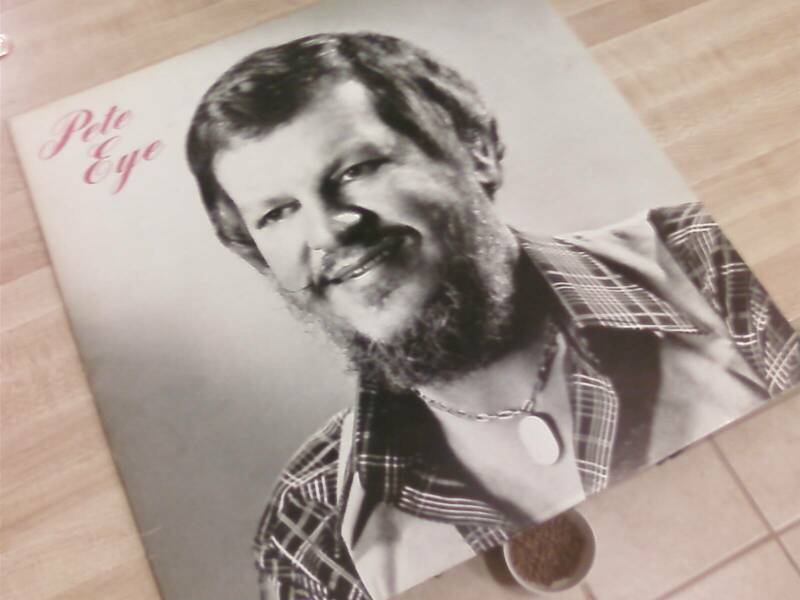 I first heard ab out KC jazz pianist Pete Eye in the Jazz Ambassador Magazine April/May 2010 issue. He’s a long time figure on the jazz scene who unfortunately recently passed away. The line up is: Pete Eye-Piano, Tommy Ruskin-Drums, Bob Branstetter-Bass. Track one is a cover of the Meters classic “Sissy Strut.” Pretty good. The rest of album is a toss up. Pete’s cover of the theme from Love Story is OK I guess, if you are in tothat. Side two takes it in a different direction with a cover of Buddy Miles’ “Dem Changes.” Eh…it was the 70s.